American Design and Build, founded in 1985, is a partnership of highly skilled professionals and craftspeople, working together to design, build and manage the construction of fine residential, and commercial structures that meet unusually high standards of quality. Our clients are usually successful businesses and/or Development professionals who put quality and cost effectiveness first on their list of building requirements. They expect their projects to be professionally managed in a way that leaves them free to focus on the day to day aspects of their businesses, or project responsibilities. 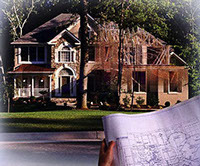 In business since 1985 we know our clients, and what they expect. We have been consistently developing superior properties and projects for our clients off-line, and now we'd like to expand our presence on-line. We have been fervently working to bring you a new kind of experience when it comes to choosing and working with an architectural design & build firm. As we develop our on-line networks we hope to bring seamless connectivity to your design and build professional and social media. You'll be able read reviews, get recommendations and much more; we hope that as we embark on this new path you'll join us, follow us, like us... American Design and Build is a one stop design and build provider we cover all your bases so you are free to focus on the more important things. Copyright © 2001 - 2015 American Design & Build , LLC. All Rights Reserved.